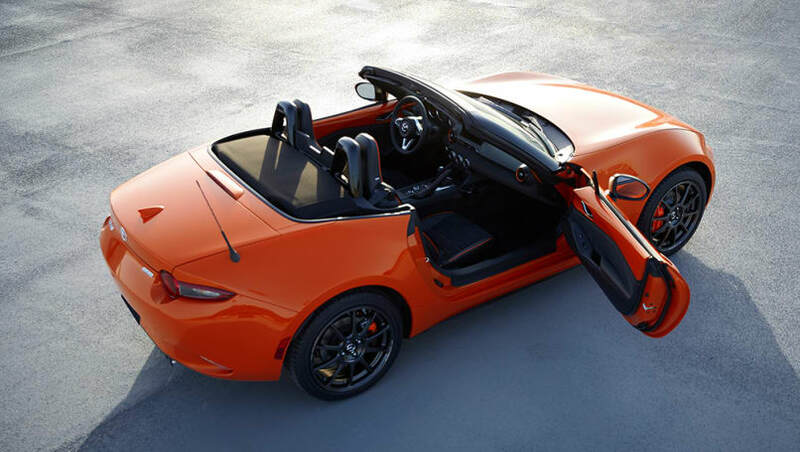 The Mazda MX-5 30th Anniversary Edition is easily identified by its unique Racing Orange paintwork. Mazda has this week taken to the Chicago motor show to celebrate the 30th anniversary of its iconic MX-5 sports car with a limited-edition variant that has been confirmed for the Australian market. 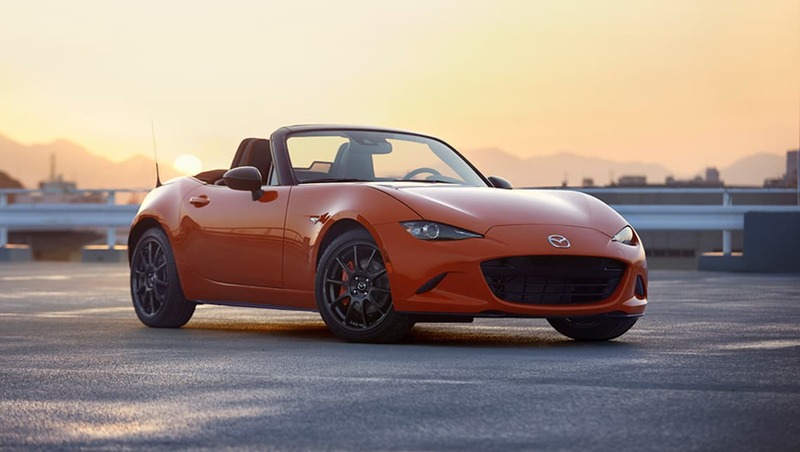 Aptly named the 30th Anniversary Edition, the MX-5 special will be limited to 30 examples Down Under, where it will be based on the soft-top 2.0L Roadster GT variant that currently costs $41,960 plus on-road costs. It is not clear if the Australian-market 30th Anniversary Edition will come standard with a six-speed manual transmission or offer the automatic unit that commands a $2000 premium. However, the 2.0L Roadster GT’s recently upgraded naturally aspirated four-cylinder petrol engine is guaranteed, likely tuned to produce 135kW of power at 7000rpm and 205Nm of torque at 4000rpm. According to Mazda Australia, the 30th Anniversary Edition will be offered to “loyal MX-5 customers on a first come, first served basis”, with potential buyers to be reached out to via email. In total, 3000 units of 30th Anniversary Edition will be built for global consumption, of which some will instead be based on the hard-top RF body style. Either way, each 30th Anniversary Edition will be easily identified by its unique Racing Orange paintwork that Mazda says, “evokes the breaking dawn of an exciting new day”. Bespoke Rays ZE40 RS30 forged alloy wheels sit in front of orange-painted Brembo front and Nissin rear brake callipers that improve performance alongside Bilstein dampers. A total of 3000 30th Anniversary Edition will be built, with only 30 coming to Australia. Inside, Recaro seats and Alcantara trim for the doors, dashboard and seat centres help the 30th Anniversary Edition further stand out, while a serialised build plate punctuates its importance. Orange accents are also applied to the 30th Anniversary Edition’s steering wheel, gear selector, handbrake door trims, dashboard, seats and air vent surrounds. Pricing and full specification will be confirmed by Mazda Australia closer to the 30th Anniversary Edition’s local launch later this year. Is a limited-edition variant the best way for Mazda to commemorate the 30th anniversary of the iconic MX-5? Tell us in the comments.